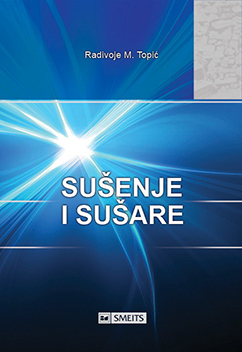 The Fifth International Conference on Renewable Electricity Sources (MKOIEE) was held on 12th and 13th October 2017 in the Japanese Room of the Belgrade Sava Centre. 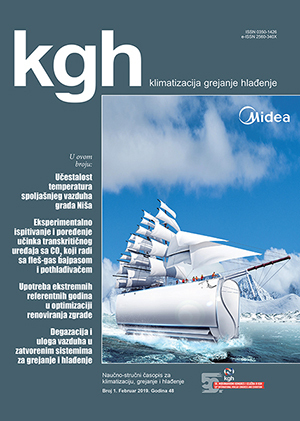 The conference was organised by the Society for Renewable Electricity Sources (the Serbian abbreviation - DOIEE), founded in 2010 within the Serbian Union of Mechanical and Electrical Engineers and Technicians (Serbian abbreviation - SMEITS). 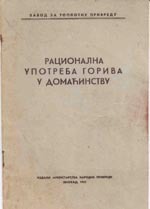 The aims of the conference were: to promote scientific ideas and results of research, development, and use of renewable electricity sources; to improve technologies for using renewable electricity sources as primary or complementary sources of electricity; to inform and educate the general public on advantages and possibilities of using renewable electricity sources; to promote local and global interests in the application of renewable electricity sources; to promote rational use of electricity consuming devices in order to reduce electricity consumption and achieve better energy efficiency; to affirm renewable electricity sources as sustainable electricity sources, and to propose solutions in accordance with economic power and future development. The main thematic fields of the conference were: Environment, Sustainability, and Politics; Energy Sources and Energy Storage; and Applications and Services. The conference was open to the public with the aim of raising public awareness of all the problems and with expressed readiness to participate in a dialogue with decision-makers. 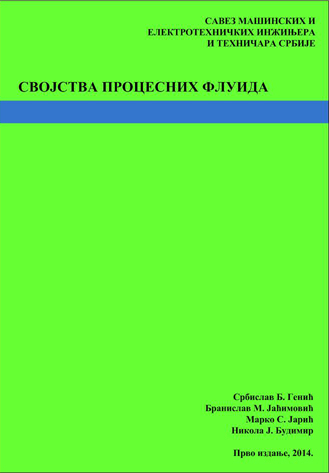 The Conference Book of Abstracts was printed, while the Conference Proceedings were published on a CD, with its CIP and ISBN. Click the picture for free download of the Conference ProceedThe conference was attended by over 150 participants. 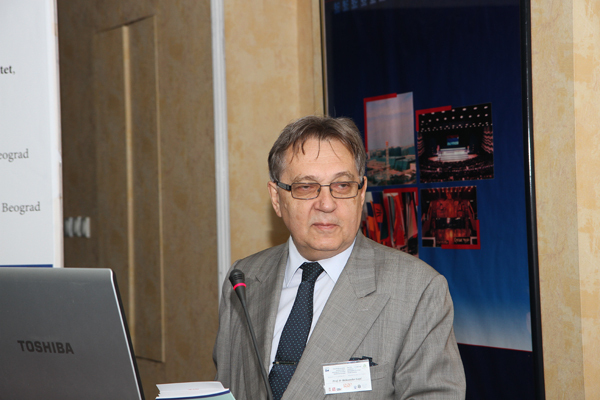 The conference opening ceremony was hosted by Dr Zoran Nikolić, the president of the Society for Renewable Electricity Sources, who welcome the participants wishing them a pleasant stay in Belgrade and successful work at the conference. Professor Dr. Budimir Sudimac, the Vice-Dean of the Faculty of Architecture, greeted the participants wishing them a successful work and stressing the significance of architects in the practical application of the systems for electricity generation using renewables. He also stressed the importance of educating the general public on the use of renewables for the environmental protection. 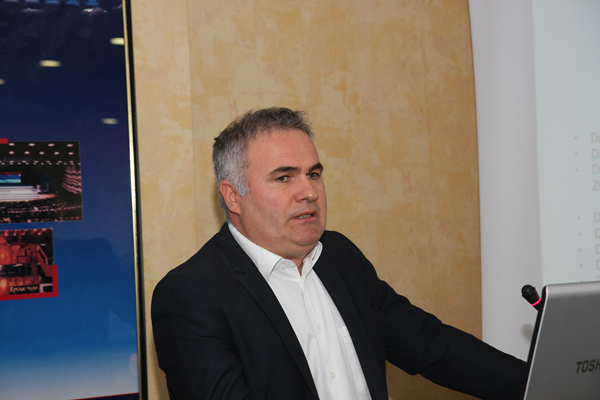 Professor Dr. Aleksandar Gajić, a member of the Supervisory Board of EPS (Electric Power Industry of Serbia) expressed gratitude for the invitation and stressed the importance of using renewable energy sources in the environmental protection. 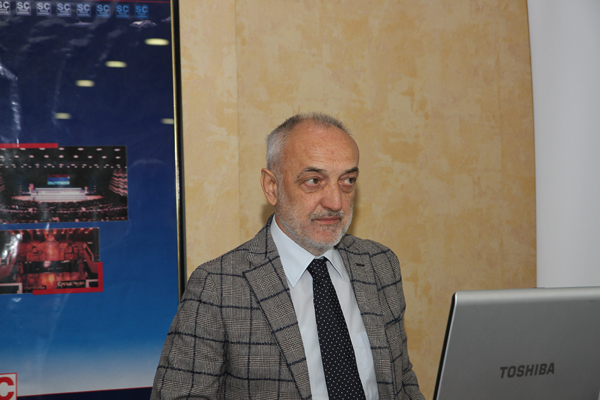 The President of SMEITS (the Serbian Union of Mechanical and Electrical Engineers and Technicians), Dr. Milovan Živković, pointed to the inhuman attitude towards the nature for the creation of material goods. He specifically commended the original initiative of Stevan Šamšalović, who is, unfortunately, not among us, for the conference ICREPS. The Presidents also reminded the participants that, in addition to this conference, SMEITS is also the organiser of Processing Congress, HVAC&R congress and exhibition as well as seminars, such as the heat pumps seminar held before the 5th MKOIEE. The President of SMEITS officially opened the conference. The conference lasted two days and it was organised in 4 sessions. Out of 39 papers accepted for publishing, 27 were presented. In the plenary session held on the first conference day, two papers were presented. The first plenary lecture titled “Using Low-Cost Sensors and Systems for Air Pollution Monitoring” by Viša Tasić from the Mining and Metallurgy Institute of Bor, was dedicated to the use of low-cost sensors for real-time air pollution monitoring, for the preservation of a healthy environment. The focus on practical experience in the use of sensors for measuring suspended particle concentration. The second plenary lecture titled “The Influence of the Extremely Low Frequency Magnetic Field Emission on the Environment of Laptop Users “ by Darko Brodić from the Technical Faculty of Bor, the University of Belgrade, Bor, was dedicated to the problem of emission of extremely low frequency magnetic field to which laptop users are exposed. The use of laptops with lower negative impact of magnetic field was recommended. Within the session “Environment, Sustainability, and Politics”, five papers were presented. Within the session “Energy Sources and Energy Storage”, five papers were presented on the first day, and one more on the second day of the conference. Within the session “Applications and Services, total 14 papers were presented. 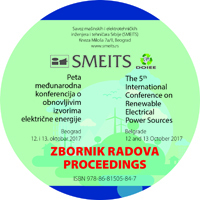 At the end of the conference, Dr. Zoran Nikolić, President of the Society for Renewable Electricity Sources, said that he was convinced that the conference organisation and proceedings had justified the participants’ confidence and expectations. 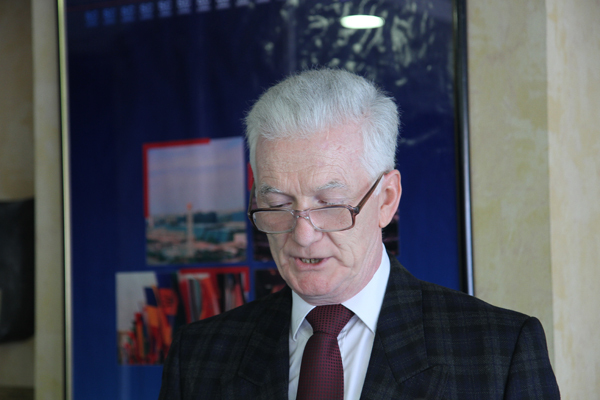 He expressed gratitude to the Organizing Committee and the Scientific Committee of the conference for their efforts, especially to Dr. Mila Pucar, a member of the Scientific Committee, Zoran Stević, the Chairman of the Scientific Committee, and SMEITS. The conference was closed by an announcement that the 6th International Conference of Renewable Electricity Sources will be held in October 2018. 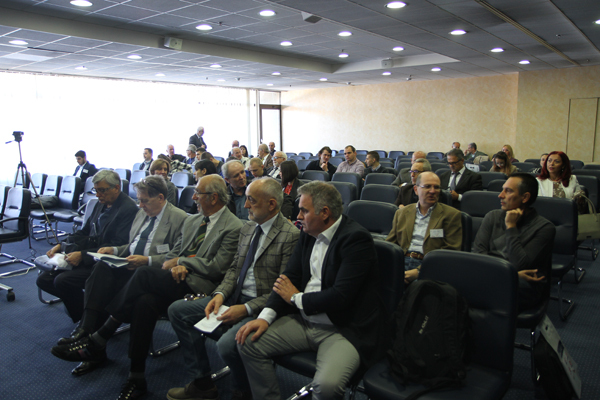 We may conclude that the Fifth International Conference on Renewable Electricity Sources created the permanent interest of researchers, which was reflected in the number of submitted papers. It was concluded that for widespread use of the systems of renewable electricity generation, it is necessary to make appropriate decisions on the government level, which would accelerate the application of such systems and increase energy independence. 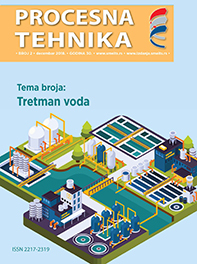 The primary goal is to reduce tax for procurement of components for these systems, to increase the number and funds of research projects from the field of renewable energy sources, to simplify the procedure of connecting these systems with the electrical grid, to increase quotas for purchasing electricity generated using RES, and to create a reversible high capacity power plant for electricity storage. After the end of the conference, the guests continued their conversations at a farewell lunch at the Sava Centre restaurant.